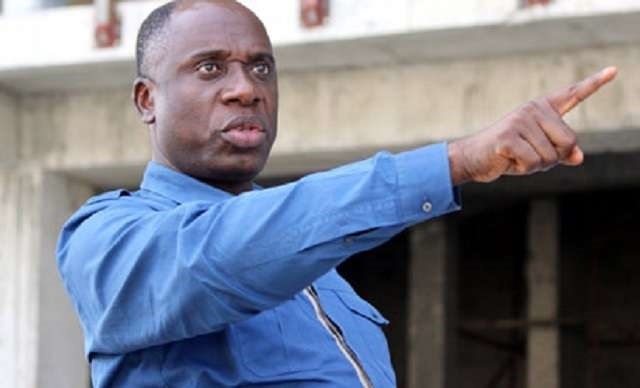 There was disquiet in the ruling All Progressives Congress over an audio, where a former governor of Rivers State, Rotimi Amaechi, allegedly criticised President Muhammadu Buhari. Amaechi is the Director General of the Presidential Campaign Council of the party, the same position he served four years ago and he is the minister of transport. Since the release of the audio, some leaders of the party had been discussing it. While others believed it, some were of the opinion that the former governor should speak on it. A source, who spoke on condition of anonymity, said he was not sure Amaechi could make such comments. “I’m not sure the minister could make such a remark. He has benefited so much from this government,” the source said. “But we are not sure yet. We would rather want the minister to speak on the audio,” another added. In the audio, Amaechi allegedly said Nigeria could not change. He claimed Buhari does not read newspapers or listen to news on the economic situation in the country. Sources pointed out that Amaechi allegedly made the comments at a meeting with journalists, in Minna, Niger State capital, over a year ago. It was further alleged that some persons had been using the audio clips to blackmail the Minister of Transportation, for some time now. In one of the clips, Amaechi said: “The President is not listening to anybody. He does not care. You can write anything you want. The President does not care. Does he read?” In another part of the audio, Amaechi threatened to bar journalists from events, if the audio was leaked. In another part of the clip, the individual was heard saying that there would be a University in his village, after the plans to build one in Daura, the hometown of President Muhammadu Buhari, in Katsina State, has been concluded. Amaechi has,however, refused to comment on the matter, since the audios leaked. However, an aide to the President, Tolu Ogunlesi, said that the clips were authentic, but that the comments allegedly made by Amaechi, were done in 2014, and were directed at President Goodluck Jonathan, and not Buhari.